No matter how many different makes and models of vehicles are available today, there are some things that they all have in common, one of which is a battery. Although the battery plays a critical role in the operation of any vehicle, it’s not necessarily one that most people know much about. Generally, you’re not interacting with your battery on a daily basis, or at all, unless something goes wrong. These are a few things that it’s good to know about your battery if you regularly drive a vehicle. The lifespan of the average car battery is about six years. There are some things you can do to ensure your battery lasts six years or more. ● Don’t leave electronics plugged in when the car isn’t running. While your car is running, the battery is continually being depleted and recharged. When the car is off, the battery can be drained, but not recharged. In order to start your car, you’ll need some battery power. When your battery does reach the end of its life, keep in mind that it’s full of chemicals, and needs to be disposed of appropriately. Check with your local mechanic when the time comes. The outside temperature can affect your battery’s overall performance. While it’s unlikely that it’ll be cold enough to freeze your battery completely, cold temperatures do thicken the solution inside the battery, slowing it down. You might notice that it’s harder to start your car in the winter, and that’s why. If you have trouble or have to store your car outdoors in a cold place, try a battery heater in the winter. Hot weather, on the other hand, evaporates the solution inside the battery, which might affects its ability to hold a charge. You can refill the solution, but if you get to that point, it’s probably time for a replacement soon. 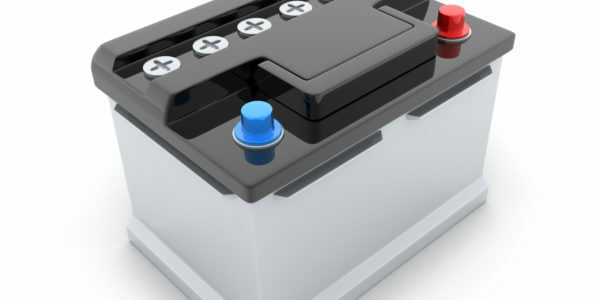 Do not put water in your battery; if you think you need more solution, ask a professional. Knowing how to jump start a battery is one of those things that seems useless until you need it. We’ve posted a blog about jumping a battery, so check our archives for more info!